We’re One of NJ.Com’s Magnificent Seven! 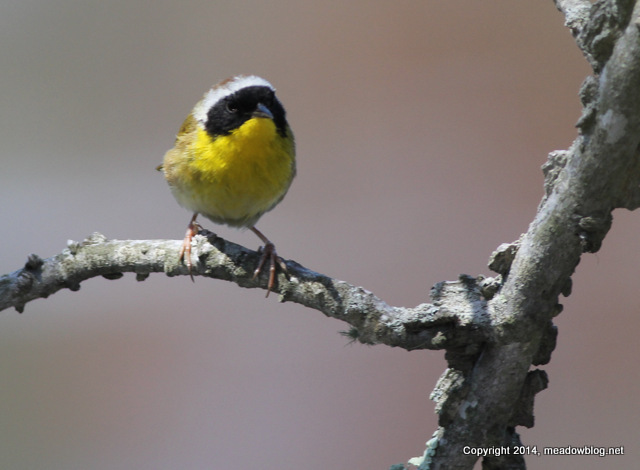 NJ.Com just named the seven best spring birding spots in the Garden State, and the Meadowlands is one of them. Thanks NJ.Com! The other places are great, too, but we love to see the Meadowlands get their due. DeKorte Park will be closed all day Saturday (April 26) for roadway repairs. We apologize for the inconvenience. I checked out a few spots along the Hackensack River in Secaucus this past Saturday afternoon. 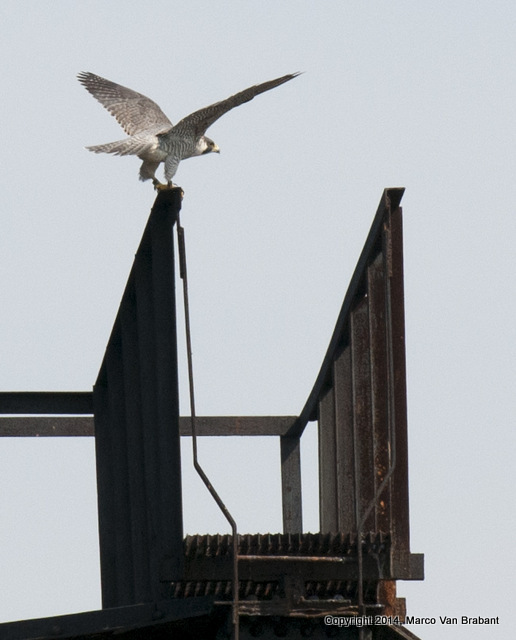 I saw 1 adult Peregrine at the Route 3 site (not at the box, but on a nearby bridge support). The other could’ve easily been hidden from view if it was inside the box. Afterward I went to Laurel Hill Park to check out the decommissioned railroad swing bridge at the south end of the park, and I can report that Peregrines are hanging out near the old Osprey nest on the bridge for their nest. 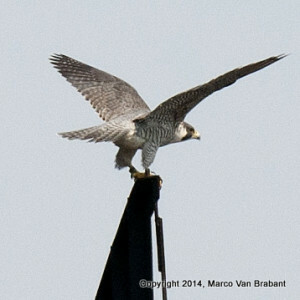 (See photo by Marco Van Brabant above). 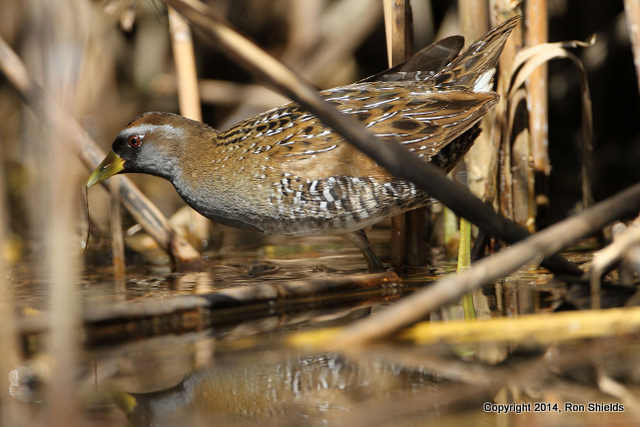 I never got a good look at the female’s legs to check for bands, but the male is definitely unbanded. Could someone with a long lens photograph the band numbers?